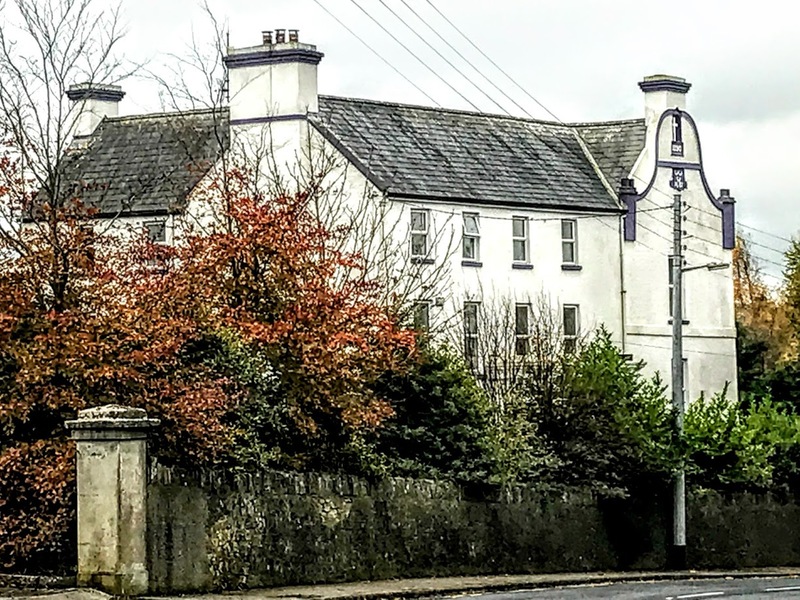 The Turret in Ballingarry, Co Limerick, is a distinctive property and a 17th century listed building with an interesting history. The Turret stands on a height above the village, beside the Roman Catholic parish church. It is in a private setting that is not overlooked, and yet two minutes stroll from the heart of the village. The Turret may take its name from its distinctive 17th century Dutch gable. But, according to local lore, it is so named because it incorporates the turret of the old Priory of the Knights Hospitaller. 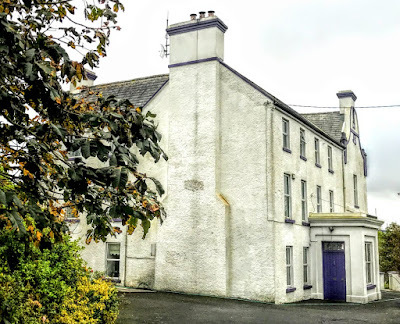 The first house is said to have been built by a branch of the de Lacy family, who owned nearby Ballingarry Castle until they lost their estates in the area during the wars and political turmoil in the second half of the 17th century. Ballingarry Castle passed to the Odell family, and when Major John Odell failed to secure a grant to rebuild the castle, he built The Turret, incorporating the Templar bastion. The unusual and distinctive Dutch gable masks a roof ridge at right angles to the ridge on the main block. Odell decorated this Dutch gable with the three crescents on his coat of arms and the date 1683. The Odell family was living at Ballingarry from the late 17th century, and Major John Odell was granted 1,679 acres in Co Limerick in 1667. The family intermarried with the Fitzmaurice family, Earls of Kerry, and with the Fennell, Crone, Bayly, Scanlan and Westropp families. Thomas Odell was living at The Turret in 1814 and Mrs Odell of the Turret died in 1818, according to parish records of that parish. Fitzgerald in 1826 refers to Jackson’s Turret, built on a hill and ‘now nearly in ruins.’ Bence Jones says a porch and new wing were added in the late 19th century when the house became a presbytery. 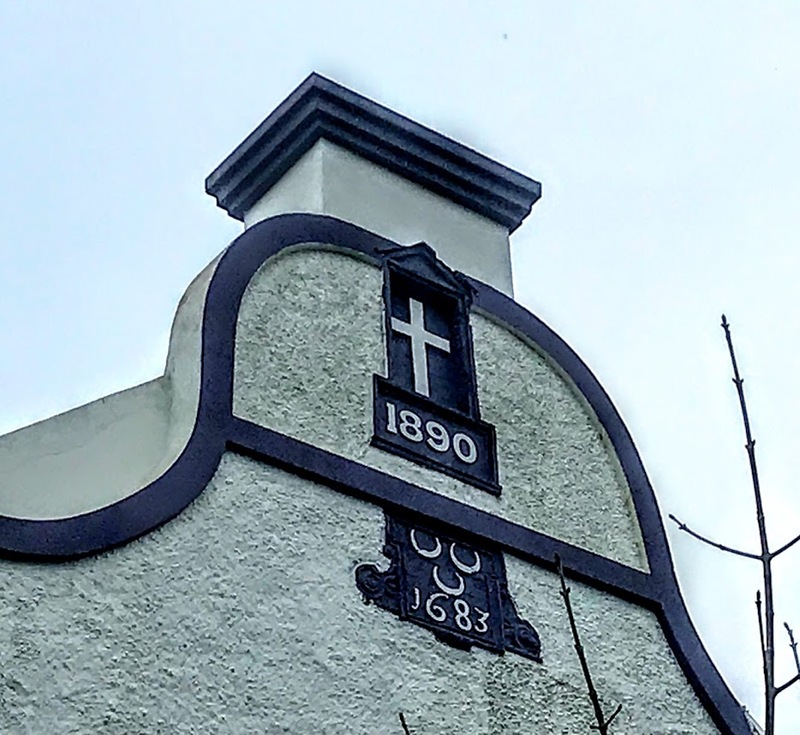 Above Odell’s heraldic crescents and the date 1683 are a cross and the date 1890, added when the house was turned into a presbytery. Local lore says that the parish priest, mistaking the heraldic crescents in the Odell arms for Islamic emblems, insisted that the cross should be placed above it for safety. This substantial late 17th century house was remodelled in the late 19th century with a balanced proportioned façade, yet it still retains its significant early form and features such as the heavy projecting chimneystacks. The diminishing windows enliven the façade and are typical of classically inspired buildings. The house forms an attractive and interesting feature in the rural landscape. The Turret has about 3,500 sq ft of accommodation spread over three floors and over five levels. Since buying the house 12 years ago, the present owners have upgraded the heating system and replaced the kitchen. The house had many charming original features, including the entrance porch with stained-glass windows, a drawing room with a limestone fireplace, a study with timber panelling, and a living room with an ornate marble fire place. The ground floor has a large kitchen and a living room with a wood-burning stove, a utility room, and a wood-panelled office. The first floor includes the dining room and drawing room with a marble fireplace and the library. The main bathroom and a walk-in airing cupboard are on the lower return. There are three double bedrooms on the top floor, and a master bedroom beside the second bathroom on the upper return. The gardens include a plantation of over 1,500 trees with a mix of deciduous and coniferous native trees extending over almost three acres, planted extensively over the last decade. The grounds also have a large polytunnel, and there is an ancient ring fort on the site. The house is approached along a large driveway, or by limestone steps leading up from the footpath on the street. It has been recently painted and restoration work has been carried out on the turret end of the house. 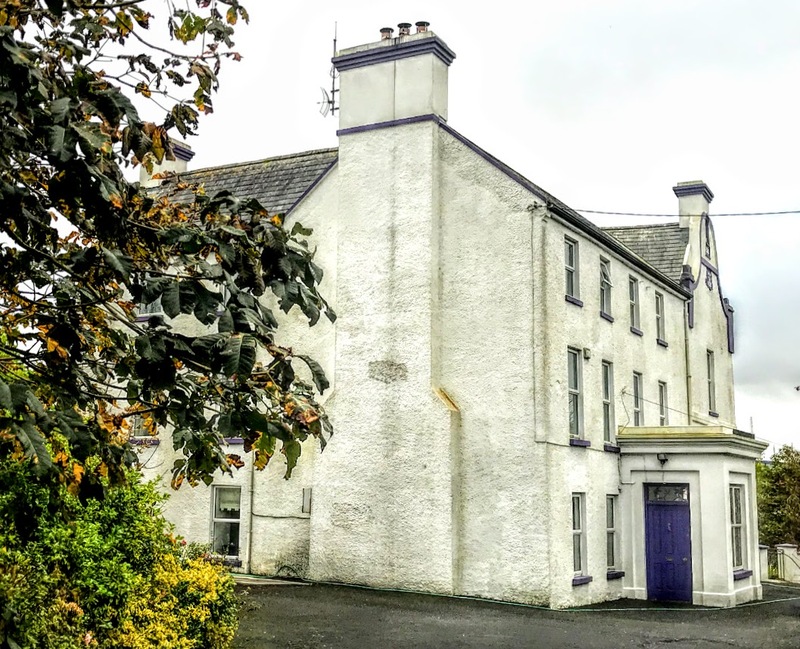 The asking price was recently reduced from €575,000 to €495,000, and the selling agent, Helen Cassidy, says The Turret is in excellent decorative order. All negotiations are being conducted through Helen Cassidy, MRICS, BA (Mod) MSCSI, Auctioneer and Valuer, Clonbur House, Clonbur, Co Galway.